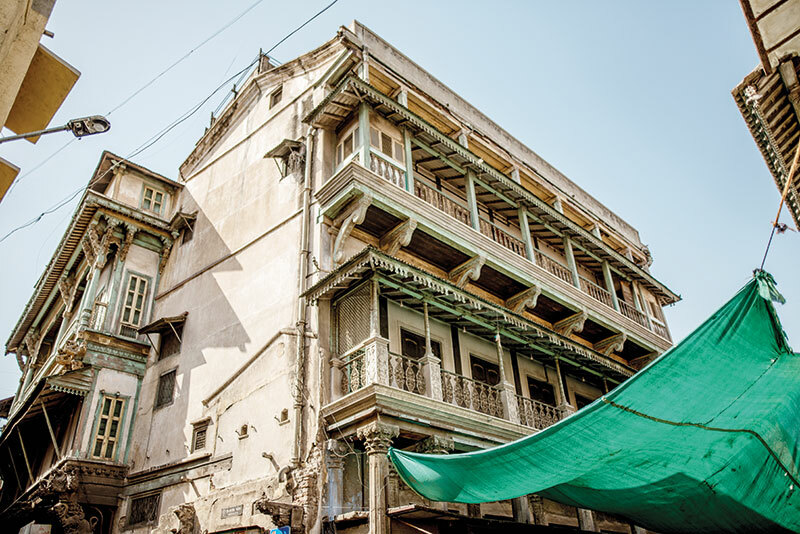 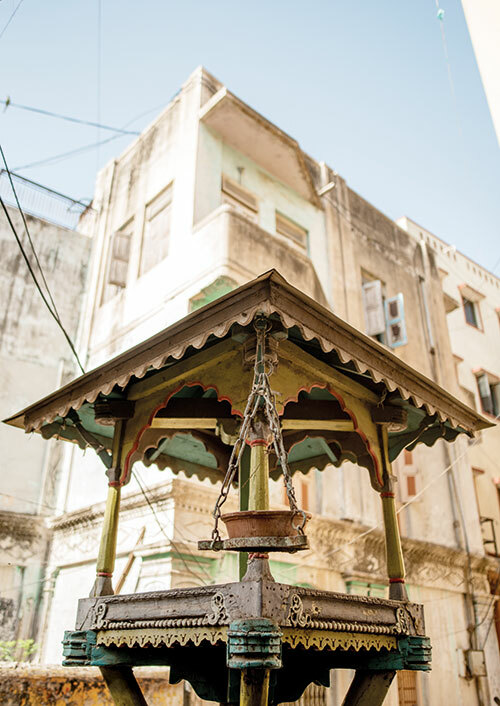 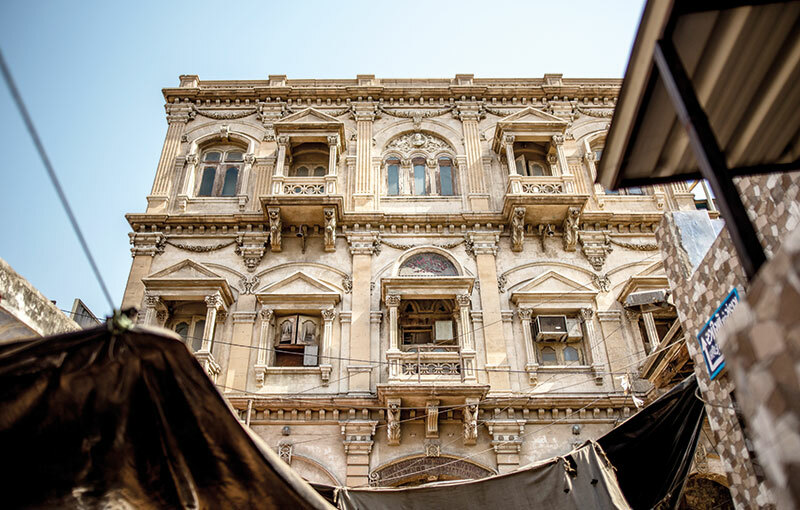 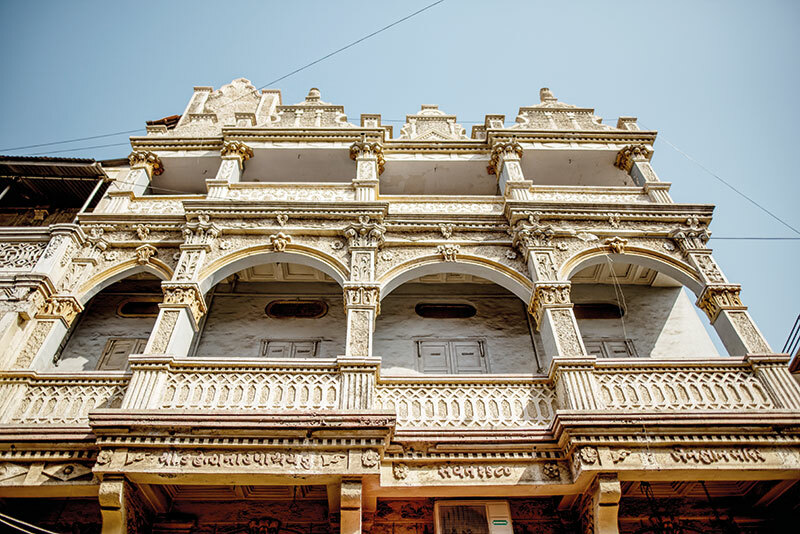 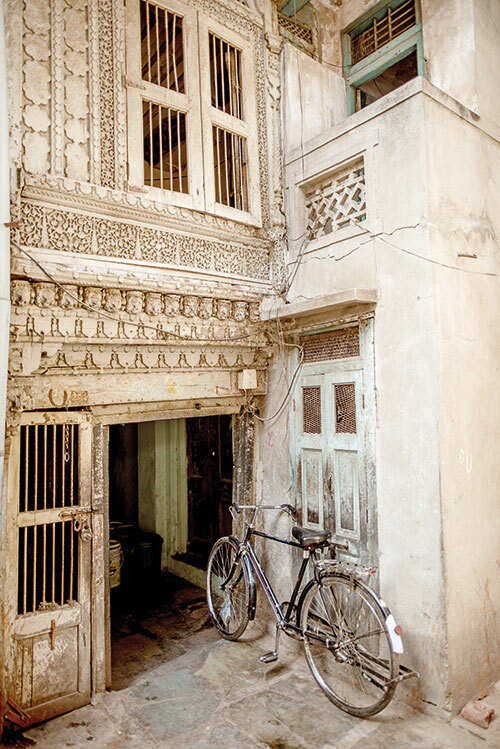 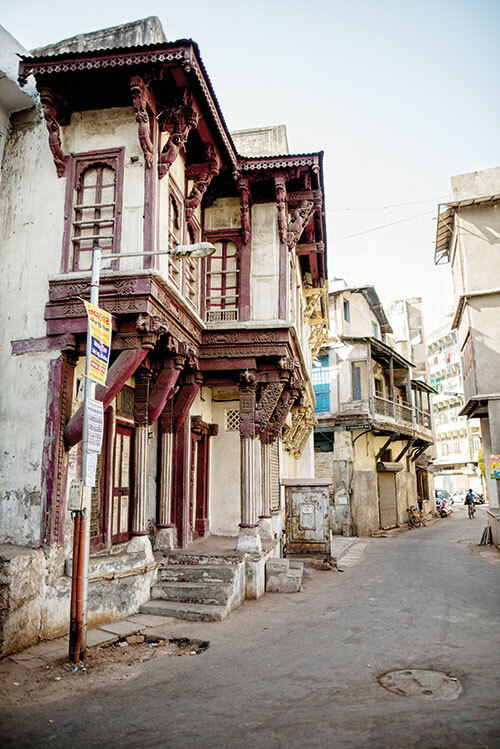 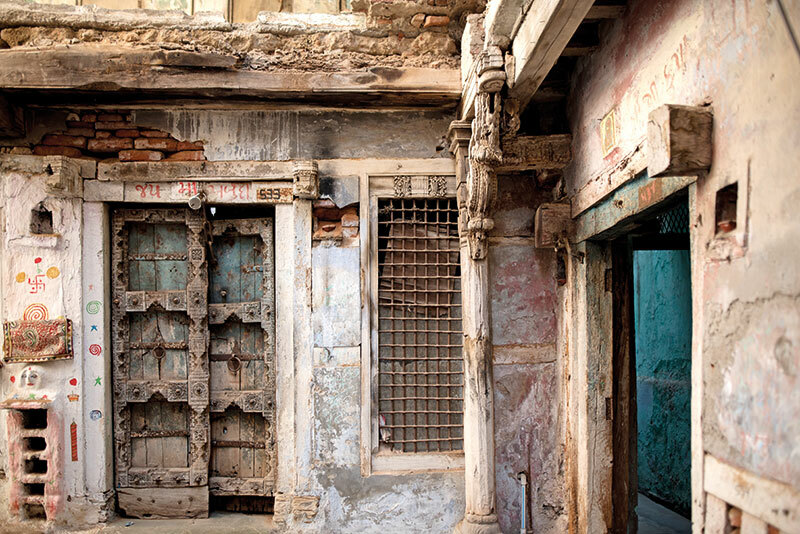 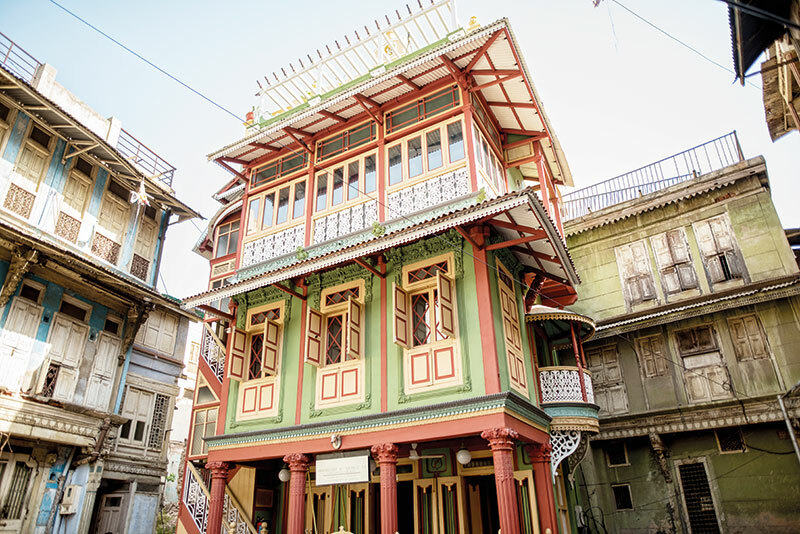 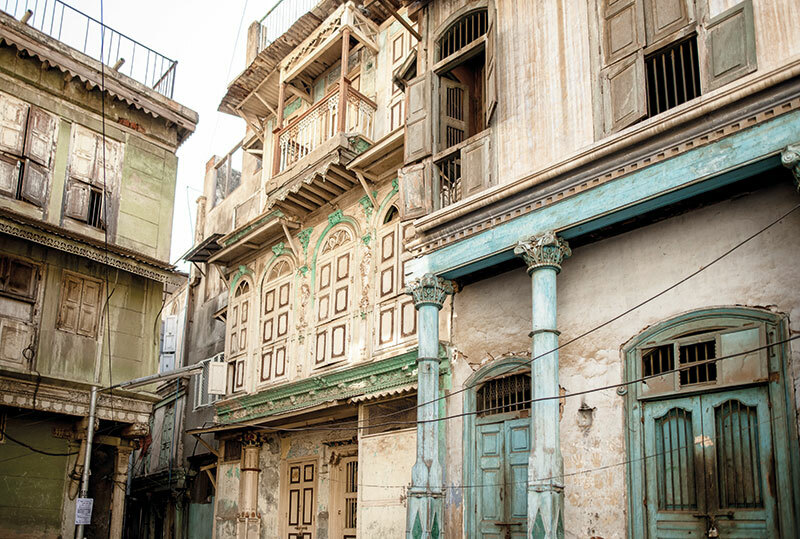 On the eastern banks of the Sabarmati River in Old Ahmedabad lies a cluster of houses or ‘pols’ that are built in the Gujarati vernacular style. 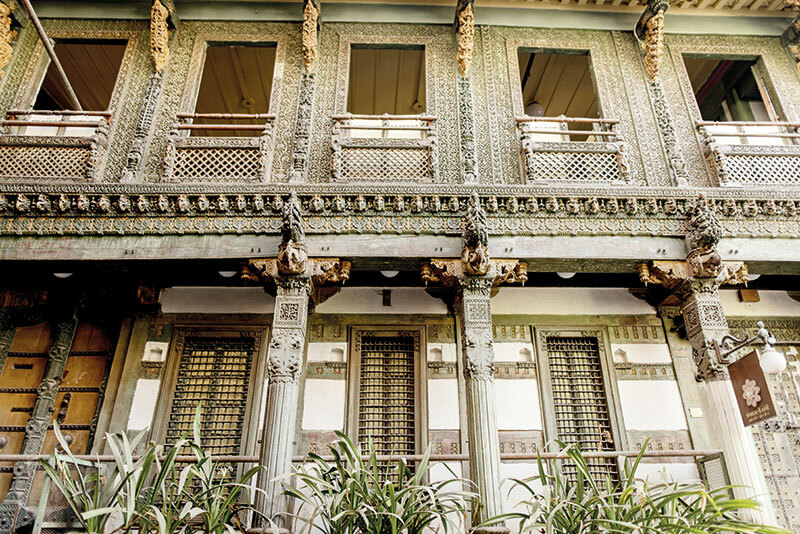 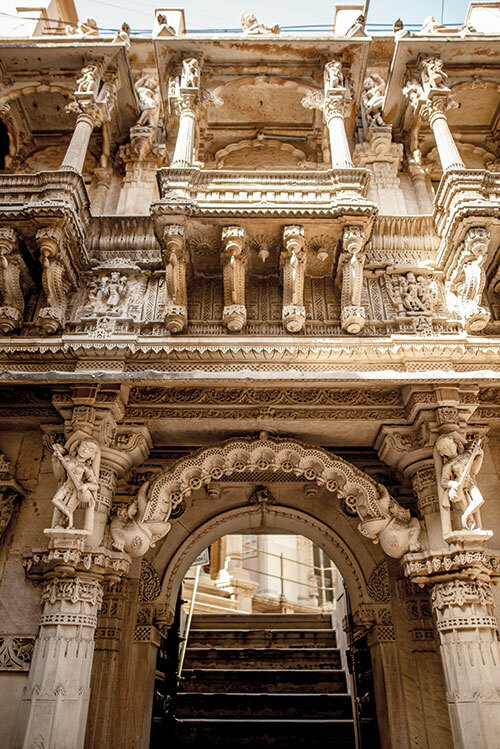 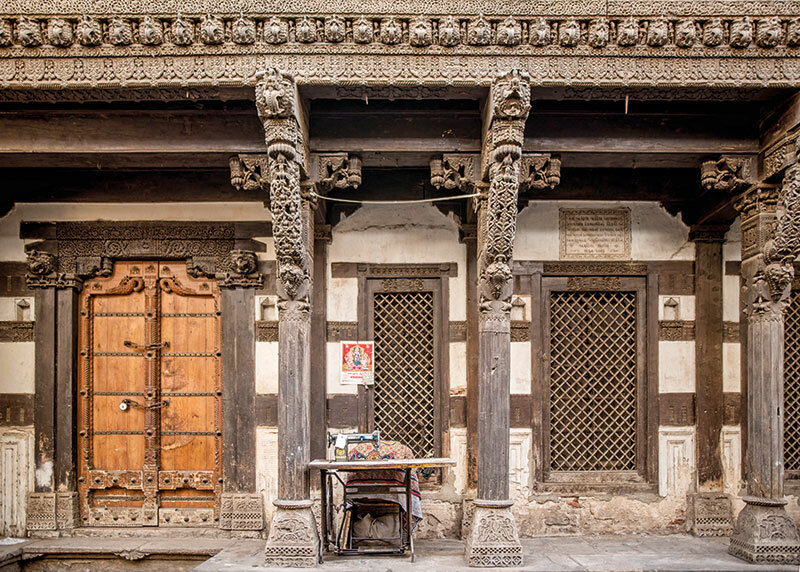 Intricately carved and decorated, inside and outside, the architecture emphasises a community lifestyle and a traditional model for urban living. 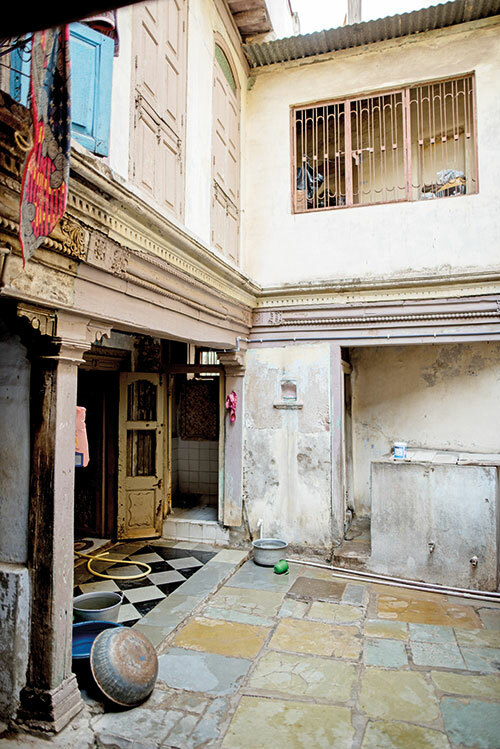 Enclosed within gated courtyards shared by several families, these are also hubs for cottage industries that take shape right outside the doorsteps. 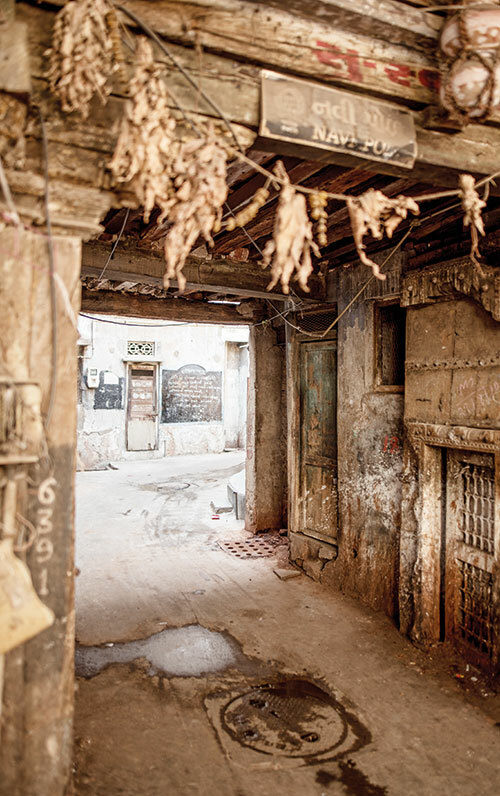 Amble through the narrow streets on foot, and you can encounter residents who continue to use these structures in much the same way as they were originally intended many hundreds of years ago.